Home » Where’s Your Focus? 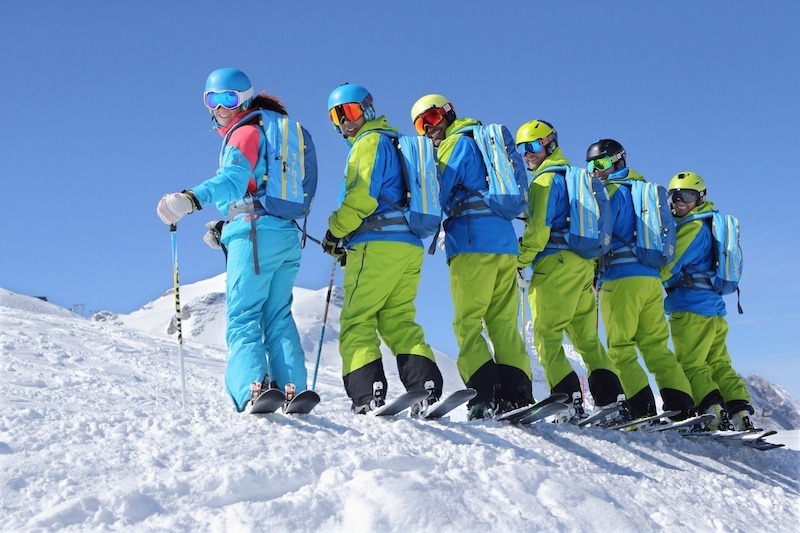 Phil Smith, Director of Snoworks Ski Courses, talks about the importance of focus. A great quote and one that I constantly use when teaching all-mountain skiing. Focus, or as it is more commonly called, concentration, can be likened to a spotlight in the theatre. The centre of the spotlight is the brightest, and the further you move away from the centre, the less bright it becomes. Your focus is exactly the same, the centre of your focus is bright and the outside of your focus is less bright. How and where you direct your focus can have a drastic effect on your performance and learning. It can help or hinder. When learning to ski, most skiers have their focus directed well into the future. Where am I going, what’s ahead, where’s my instructor? In fact, if you remember back to your very first lessons you will probably remember being told, “Don’t look down, look ahead”, so people get used to focusing well into the future. This is all fine when the environment, the snow texture and terrain is constant, such as on well-groomed blue and red runs, but as we move into all-mountain skiing where the terrain and snow texture begin to change, every second, every millisecond, every nanosecond, a “now” focus is required. “Now” focusing means you’re focusing on what is happening to you, not what is going to happen or what has happened. Many skiers are focusing well into the future or reflecting on the past, so the ability to adjust to the changing conditions is compromised. The requirement to be “now” focused in changing conditions however does present a conflict in all-mountain skiing, as safety issues require a focus more into the future. Where am I going, where are the islands of safety, terrain traps, lines, convex slopes? Great all-mountain skiers have therefore learnt to switch focus very quickly hundreds of times in every run between focusing on safety issues (future) and adjusting to the changes in snow and terrain (now). Or they have learnt to either direct the centre of the focus to the “now” and the periphery to the “future” or vice versa depending on the greatest need. Leaving the safety issues aside just for a moment and looking at your performance, you will begin to recognise that more or less every time you lose control on your skis it can probably be attributed to a loss of focus or a distraction that takes your focus away from the “now” (dealing with the changing conditions) to either the future (what’s going to happen), the past (what has happened) or something else entirely unrelated to the changing snow and terrain. “Now” focusing is easy to say but not so easy to do, as the number of distractions can be endless – other skiers, bumps, ice, bad visibility, trees, cold feet, fogged-up goggles as well as technical issues such as hands forward, body position and width of stance. Then we can have all the other stuff swirling around in our heads. How am I doing, how do I look, am I skiing correctly, what does so-and-so think of my skiing? So the distractions pulling you away from “now” focusing are endless. To ski in the “now”, you have to learn to let go of all the stuff distracting you from skiing in the “now” moment. Learn to bring your focus into the “now” and you’ll be amazed how quickly your performance can start to improve. You’ll begin to adjust to changes in the snow, be able to slow down at will, push deeper snow aside, and cope with ice, bumps and variable snow. Of course, in all-mountain skiing, safety is the major factor, and this requires a “future” focus. So you’ll need to learn when to focus on the “now” and when to focus on the “future”. Future focusing can be done before you set off. Slope angle, snow texture, islands of safety, terrain traps. 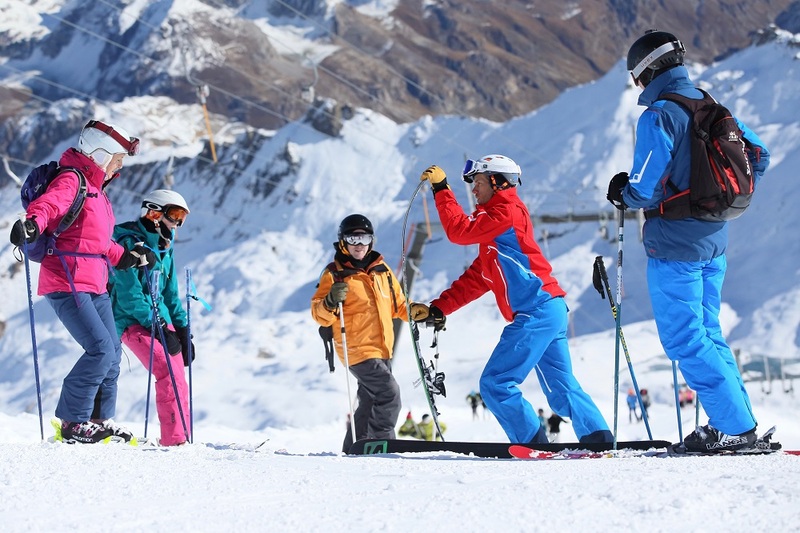 Make a plan before you set off so when skiing you can be dealing with and adjusting to the changing conditions (now) rather than filling your mind with other information. 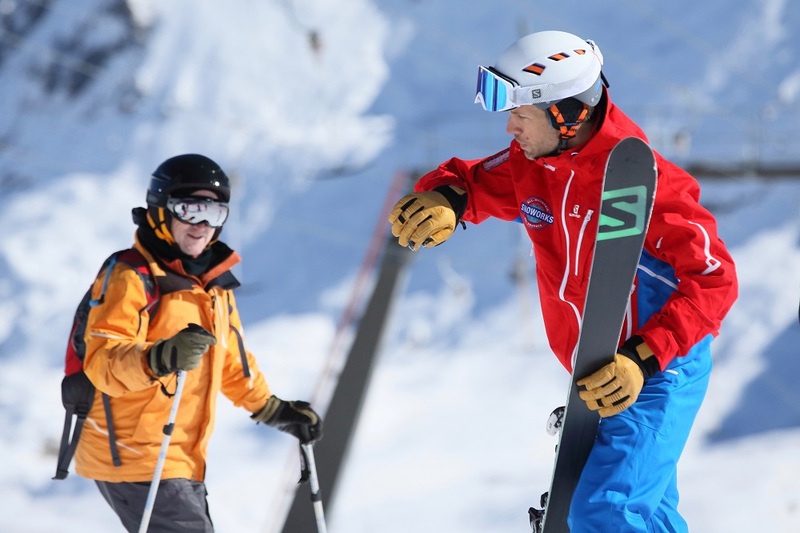 Of course, things change as you are skiing, and at times you’ll need to switch from “now” focus to “future” focus to check conditions ahead, but this can be done when the conditions are more constant and you’ll begin to learn when and how to switch. Your focus will become as skillfully controlled as other aspects of your skiing. You’ll suddenly realise what “skiing in the now” is all about and your skiing will develop a new life, one that is in harmony with the changing mountain.